Alia Bhatt and Varun Dhawan posing on taxi to promote Humpty Sharma Ki Dulhania at Kolkata. 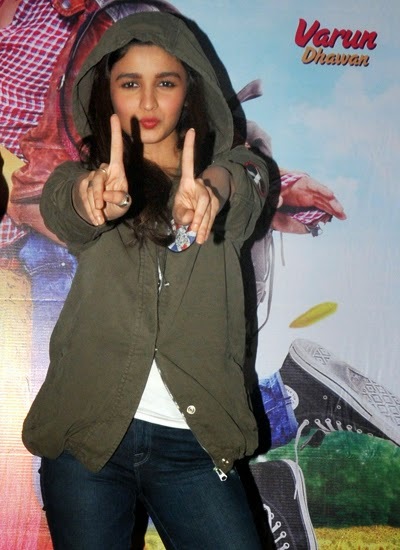 Alia was looking super casual yet cofortable in distressed denims, a tank and olive jacket while in Kolkata. A red lip and ankle boots finished out her look.